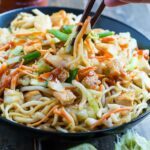 Sriracha Noodles with Tofu is an easy weeknight meal that can easily be made in 20 minutes start to finish. Even quicker if you used precooked noodles. Loaded with tofu, cabbage, and carrots plus a sauce that really packs some flavor, this is a light, but filling vegetarian meal. Since my daughter became a vegetarian almost 2 years ago, tofu is something that is pretty much always in our refrigerator. I have come to really enjoy cooking with it and since it is rather bland on its own, it is the perfect food to add lots of spice to. The tofu is cut into cubes and seared in a very hot pan until browned on all sides. You could also use diced chicken or shrimp for this recipe. 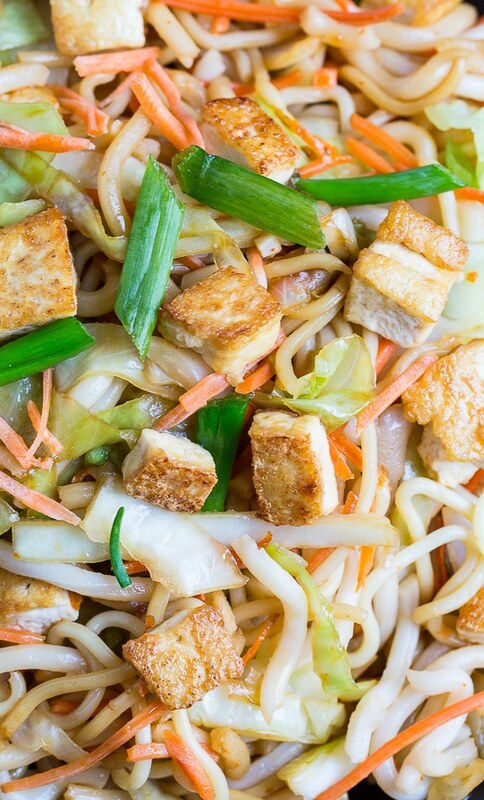 The tofu is combined with sautéed cabbage, onion, and carrots and tossed with some noodles. 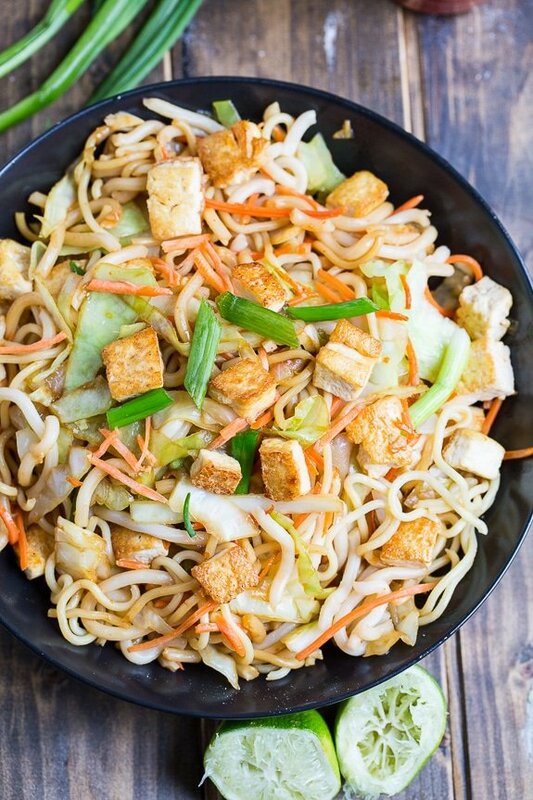 You can use any type of Asian noodles (udon, soba, lo mein) or even linguine would work. To really cut down on time, I like to use precooked Ka-Me Udon Stir Fry Noodles . They come in a bag and you just add them to the pan to heat them up. Couldn’t be easier. As a final step, a sauce made from soy sauce, brown sugar, lime juice, garlic, and Sriracha Sauce is added to the pan. It’s as easy as that and we have a full range of flavors: salty, sweet, sour, and spicy! Enough Sriracha sauce is added to the sauce to give a moderate amount of heat. You can then drizzle extra Sriracha on the tofu and noodles. And while we’re on the subject of Sriracha, let me tell you about this new Sriracha sauce I had the opportunity to try. It’s called Fix Hot Sauce and it is produced by a company in Seattle, but the actual sauce is made in Vietnam. The owners, after trying authentic, all-natural and farm fresh Sriracha in Vietnam, knew they had to make it available in the US. It tastes so much better than the usual Sriracha sauce. Really. You have to taste this stuff. The quality of the flavor and ingredients is first rate. It’s made from all-natural ingredients, nothing processed. It is a little bit sweet, not overly hot, with garlic undertones. The perfect balance of flavors and a versatile condiment to add spice to any number of foods. I found myself squirting more and more on my Sriracha Noodles and Tofu and I can’t wait to try Fix Hot Sauce on an omelet. 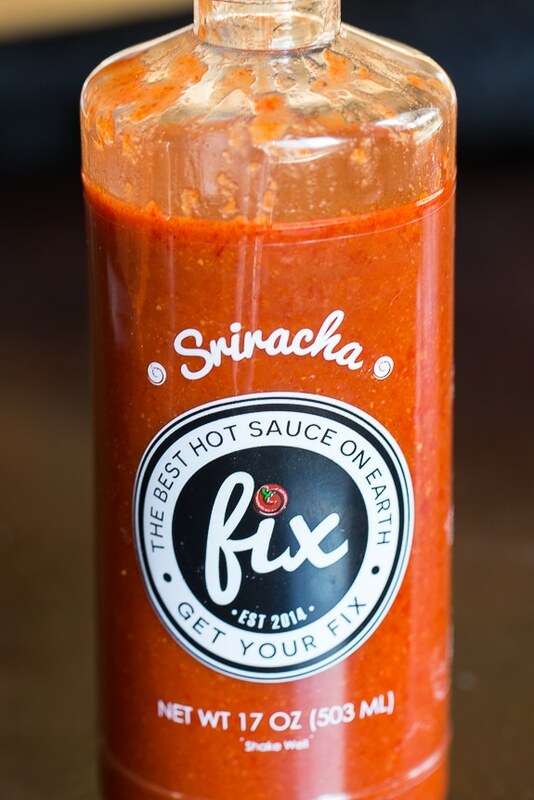 Purchase your own bottle of Fix Sriracha Hot Sauce here . 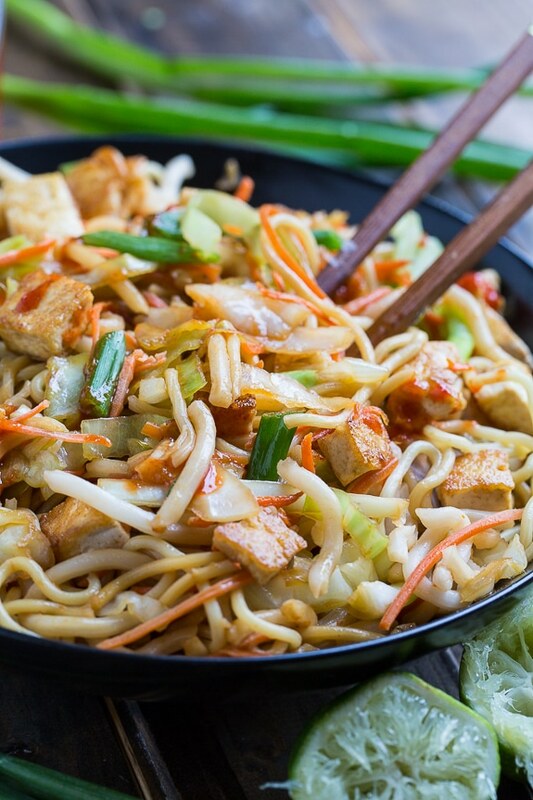 Sriracha Noodles with Tofu is a quick and easy vegetarian meal that can be made in under 20 minutes. Perfect for those who like a little heat in their food! In a small bowl, whisk together soy sauce, brown sugar, lime juice, water, Sriracha sauce, and garlic cloves. Set aside. Heat 1 tablespoon oil in a large nonstick pan over medium-high heat until shimmering hot. Sprinkle tofu with salt and add it to the pan. Cook, stirring occasionally until browned on all sides, about 5 minutes. Transfer to a medium bowl. Add another tablespoon of oil to the pan and add yellow onion, white parts of green onion, and shredded carrots. Cook until crisp tender, about 3 minutes. Place in bowl with tofu. Add remaining tablespoon of oil to pan along with cabbage. Cook stirring frequently, until cabbage is wilted. Add green parts of green onion, the noodles, and the tofu/carrot mixture. Pour sauce on top. Stir and cook for 1 to 2 minutes. Remove from heat. Serve with lime wedges and extra Sriracha sauce. Disclosure: I was provided a free bottle of sauce, but this is not a sponsored post. All opinions are mine. This entry was posted in Dinner and tagged asian, spicy, Sriracha, tofu, vegetarian. Bookmark the permalink. I am just dipping my toes in the sriracha bandwagon, but so far I am loving it! 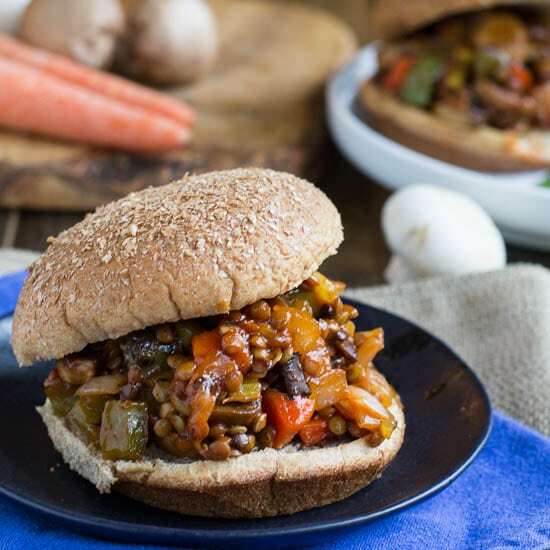 Can’t get enough 20 minutes weekday meals! Especially when they involve noodles! Pinned! Love this recipe, Christin! What a tasty looking vegetarian dish. My hubby is a meat lover so I would need to toss in some shrimp but I love the rest of the flavors and my whole house is addicted to sriracha. This looks like the perfect vegetarian dish! I adore tofu and it sounds perfect with the sriracha and all the other flavors in here! 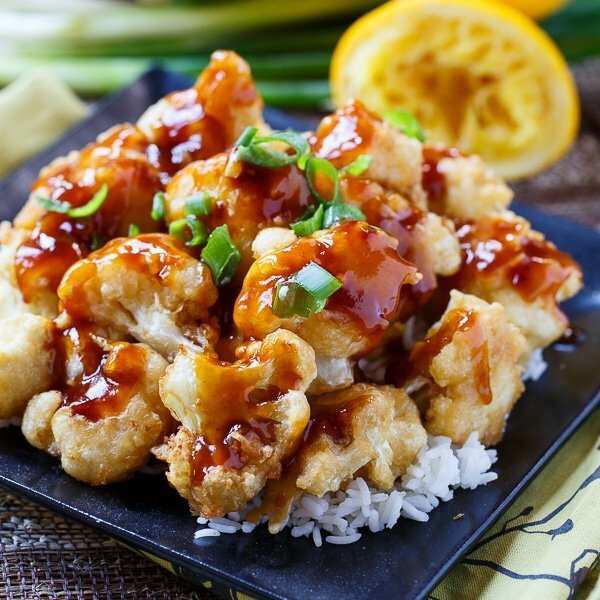 What a flavorful asian style dish.. I would love some..yummy! I can just imagine the flavorful goodness of this dish! Gotta try them soon! The noodles sound so flavorful with that sriracha sauce. This looks amazing! Mmmm I’ve been craving more Asian noodles in my life. Also meatless meals! This is a win on both fronts. 😀 Pinning! 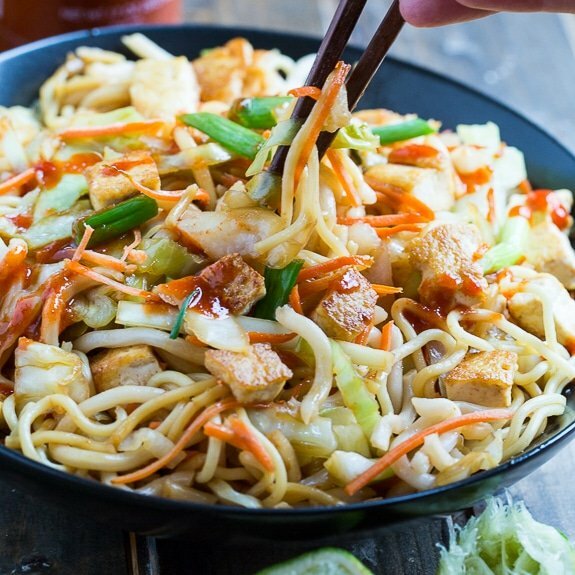 You can never go wrong with sriracha in a noodle dish! This looks gorgeous, I’m going to have to make this for dinner! I am all about dishes with sriracha lately! These noodles look incredible, Christin! And I’m loving the tofu in here, too. Pinned!